PLAN AHEAD: Obvious? Sure. But this is probably the most important thing you can do to help ensure a great family trip. Even the simplest of family vacations require at least a little pre-planning when children are involved. If you are traveling to a hotel or condo, see if kids items are available locally to rent. Pack ‘n plays, strollers, high-chairs and even toys are often available for rent, saving you checked bag fees and backaches that would accompany packing these items. Going on a cruise? Research ahead of time kids club age restrictions, baby-sitting hours and dinner reservation times. Planning to visit a theme park? Plan your attractions and dining reservations well in advance – some theme park reservations require as much as 160 days notice. 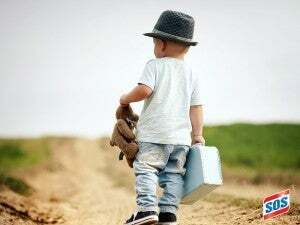 PACK SMART: Of course packing needs will vary depending on the nature of your vacation, but there are a few tips that hold true across the board when packing for kids. Bring sturdy, darker-colored clothes that can be worn more than once before washing. If you’re headed someplace with swimming, bring two bathing suits if you have them – eliminates having to put a wet or damp suit. Think layers. A hoodie or cardigan can make t-shirts and sundresses work even after the sun goes down. Consider your shopping access – cruise ships, enclosed resorts or even different grocery store chains may not carry your preferred brand of diapers or baby food, so pack for the entire trip if you know your options will be limited. But if you know you will have a car and access to what you need, pack only enough for a day or two and plan to re-stock when you get there. If your children have a special blanky or ‘lovey’, for heavens sake don’t forget it! And consider bringing a spare if you have one (pack the spare in your suitcase and only pull it out if the first goes missing). Don’t forget a travel sized package of disinfectant wipes! ROAD TRIP READY: Traveling by car? Timing your departure for a long road trip can be critical. If your kids are good at sleeping in the car, it may benefit everyone to leave towards the evening when much of the trip can be spent in sleepy silence. However, if yours are the type of kids that cannot get comfortable in a car seat, try not to schedule the trip over naptime or too far past bedtime. If you’re driving longer than several hours, breaking up the trip with a stop to eat is helpful, and restaurants with a playland for kids to burn off some energy are even better. Snacks are critical even when a meal stop is planned. Single-serving snacks in their own package are convenient, otherwise consider packing each child a plastic cup to refill with snacks as needed. Avoid overly sticky snacks for obvious reasons. Classic car games such as “I Spy” and “find the letters of the alphabet” are still a great way to pass the time, but tablets and portable DVD players can be lifesavers. If you have multiple children, have them agree on which movies they will watch first, second and third BEFORE you leave. That way you don’t have to referee that battle from the front seat. Books and drawing / coloring activities are great for the car, but try to avoid jumbo-sized packs of crayons or markers which you will only end up fishing out of the seats. A small box of crayons per child is usually enough to keep them happy. IN-FLIGHT FUN: Traveling by plane? Since there’s no controlling flight delays (not to mention cramped seats and crabby passengers), pack more in-flight entertainment than you think you’ll need. Consider buying some new books and coloring books just for the flight as the novelty will make the fun last longer. Or, make old toys ‘new’ again by stashing them away for a month or two before the trip and saving them for the plane. Don’t underestimate the power of snacks! Many parents might agree that eating two bags of goldfish crackers or an extra serving of apple sauce is perfectly acceptable when trapped in a confined space 10,000 feet in the air. If you are traveling with a baby, bring more formula and diapers than necessary in case of unforeseen delays. If your kids are old enough for tablets or handheld video games, be considerate of those around you and bring headphones. And if all else fails, we’ve got 5 words for you: Make Barf Bag Sock Puppets. BE FLEXIBLE: Perhaps the best tip for vacationing with kids is to take a deep breath, slow down, and enjoy the quality time together. Things will go wrong – flights will delay, kids will tantrum, restaurants will take too long to bring out food, but that’s ok.
Don’t forget to capture all the wonderful memories with your camera. After all – years from now the time together is what you’ll remember, not the headaches. Do you have any travel tips or tricks? Share them in the comments below or on the S.O.S Facebook page. Don’t forget to follow us on Facebook, Twitter, Pinterest and Instagram, too! How do you get the soap from a sos pad off your clothes before it stains? The soap in S.O.S pads is water soluble so any spots should come out in the laundry or with a little soap and water. Pre-treating with a stain remover prior to washing should not be necessary, but may help if the soap is really entrenched.